This month, we’re thrilled to be giving away a Spitfire watch to one lucky RAF Memorial Flight Official Club member. The watch is a limited edition and worth over £200. All current members have been automatically entered into this month’s ballot. If you’re not already a member, please join the Club by 6th January 2019. As well as being entered into this month’s prize draw, you’ll also receive a Club membership pack. Members can claim free aircraft hangar tours at the BBMF Visitor Centre, they will receive our Club magazine, published twice a year, and will receive monthly e-newsletters with content exclusive to Club members. 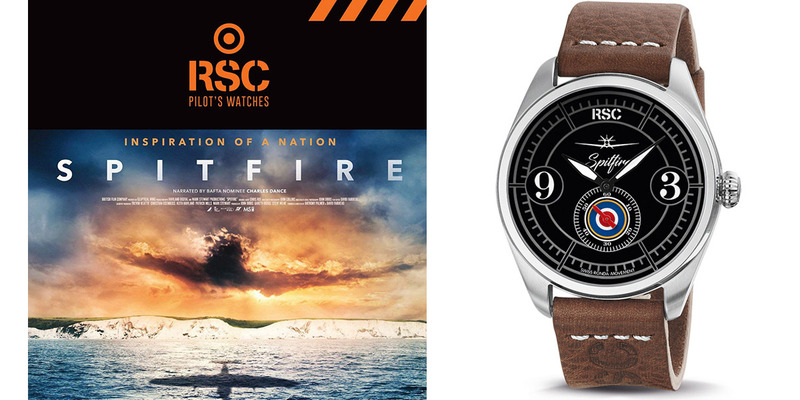 Created by RSC (Ronald Steffen Creations), the watch is one of 250 produced to celebrate the release of the film SPITFIRE, a cinematic, epic, sweeping tale of determination, vision and courage. The watch features a 43 mm diameter case, with Swiss Ronda movement and Sapphire crystal. It is presented in a luxury 'leather' case. Register to receive our latest news and competitions by email. We’ll also set you up with an account for our Forum and Gallery. You'll be able to post in these if you are a Club member.